Just a few more days and Diwali will be upon us! The festival of lights is nearing, if you haven’t planned ahead, start, kick it off! This festival is all about shopping in advance, cleaning, and decorating home. All these things are done in advance so that no stone could be left unturned during the main celebration. If you’re stressing more on traffic, crowd and hassles than shopping for the celebration itself, stop. Stop bothering and start choosing things. Before it gets out of your home, kick off your shopping spree. 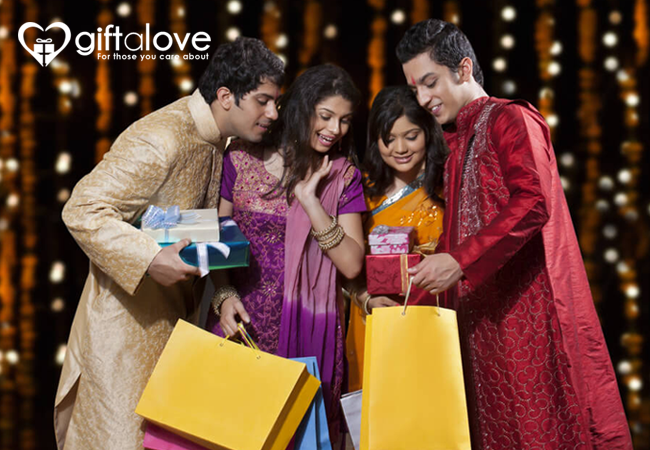 Here are a few tips to making your Diwali shopping count. It is one of the most important things to prepare a list in advance before you begin with the shopping. This also lets you decide your budget and ultimately goes on saving your precious time. With list creation you know exactly where you would go for shopping rather shop-hopping that consumes a lot of time. With festivals being a time to splurge and revel in celebrations, you should not forget your budget. Steer clear of any overspending and later regretting. In order to buy diyas, lights, lamps, lanterns, go to the shops that provide you exclusive deals. Do not go for things that you already have or are extensively available. Go for those items that are in limited stock as you get best deals on them. Choose eco-friendly items for décor and all. These can be different things. Choosing online shopping is of greater use. It’s a blooming concept that’s been spreading like fire in India with many e-commerce companies and portals sprawling. Hence, go for a reliable online site that provides assorted products for Diwali. But before going to any site, go to Google and search for the site. Filter out the best ones from your search results and check their authenticity. There are many sites that do not provide assurance and fail our expectations miserably. Also, some of them scam customers that put customers’ confidential data at a stake. Check customers’ feedback to know if the site is legitimate or up to the mark. Do not choose a site having too many negative comments and not a single positive feedback. Ask your friends and family to provide you the names of the best shopping site. When you find a best online shopping site, your Diwali shopping online becomes easier. So, do not waste your time, but resort to online shopping now!